2016 is coming to a close, and we’re looking back on a year that was a bit different than we expected. 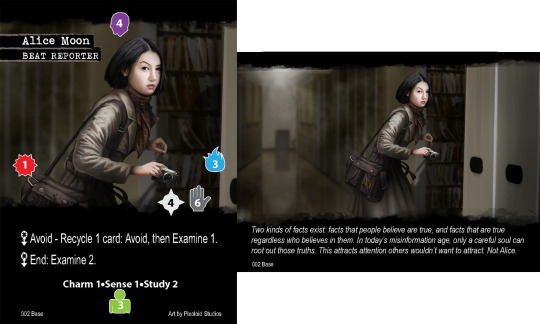 We made an expansion for Betrayal at House on the Hill, produced a brand new base set and a bunch of class decks for the Pathfinder Adventure Card Game, and ran an awesome Humble Puzzle Bundle. Plus we unveiled what we expect to do with Thornwatch and the Eyrewood Adventures line. It was a very busy year for the Sharks. A few big things are heading to production very soon as well. Here are the details on three of our coolest projects. 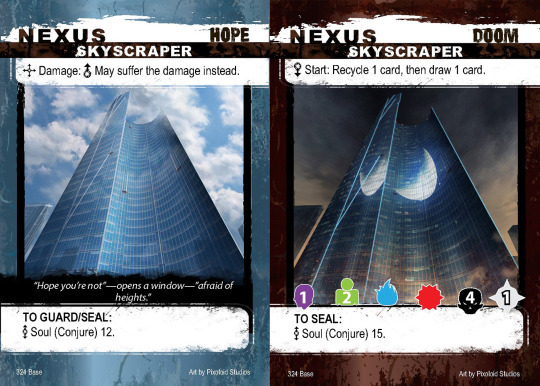 Apocrypha’s base set is about to go to the printer. Here’s where it is. 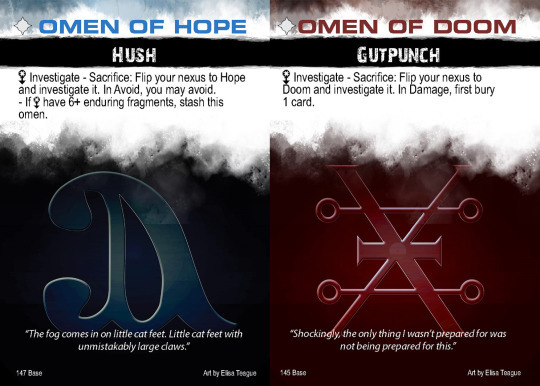 All 584 base set cards and 10 promo cards are completely edited, laid out, and proofed, with two exceptions: Missions and structures will get locked this week. The 40-page main rulebook has its basic layout finished. The text is being flowed around the art and diagrams, and then it’ll be proofed and finalized. The 16-page storybook will be laid out next week when the rulebook is finished. Pawns for the 10 characters in the base set are laid out. The 30 dividers are in layout as well. The box has a front cover design done. (The back of the box is the last thing we do, because it shows cards and such in their final forms.) We’ll share the cover and the box names with you next time around. Here’s some of the new card frames. In order, here’s a gift, a threat, a true threat, omens, a nexus, a saint, a fragment, and a death. 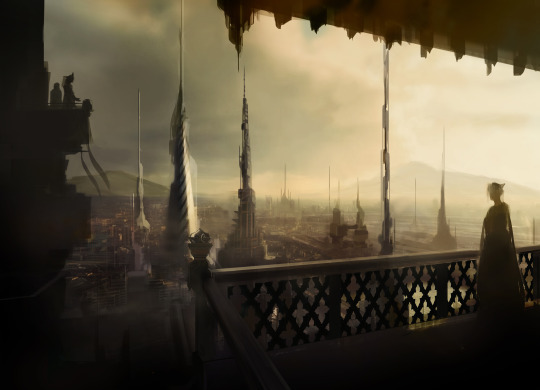 This week we’re getting in the last of our region pieces, a rather horrendous place called Crowd City. 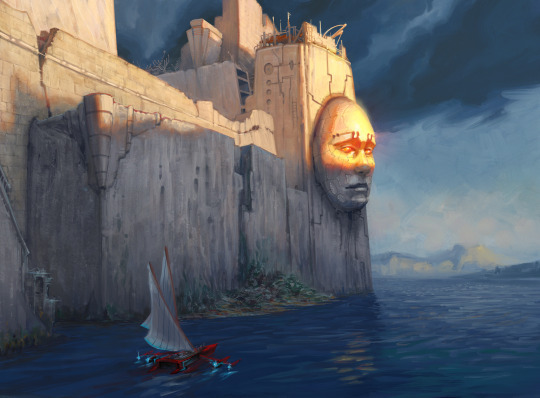 We’ve also selected all our locations that have been previously illustrated in Monte Cook Games’ astounding art library. 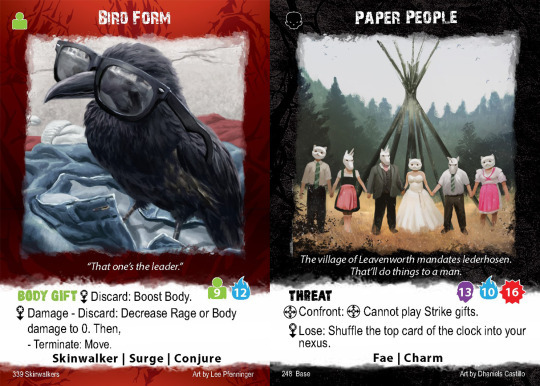 That will mean that we’ve finished all the art for the characters and the regions, and are now getting a few remaining pieces for the town and wilderness deck. 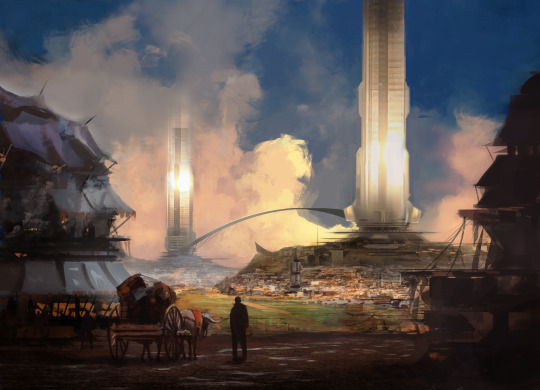 MCG’s art director Bear Weiter also dug out all the maps for every region in the world of Numenera. We are carving them up for the “round 1” cards in each of the regions. This will also form the basis of our playmap. Next month MCG’s equally astounding Shanna Germain will join us to polish off the flavortext for the game. 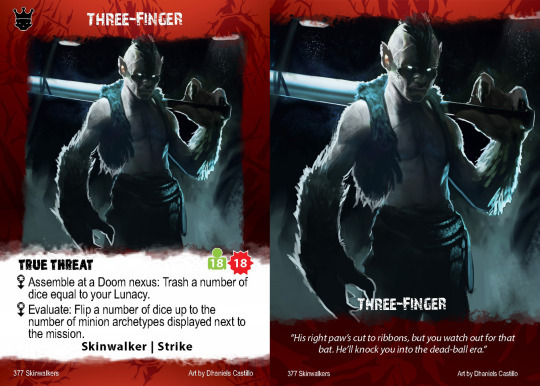 Sometime next month, we’ll begin the process of melding the completed art, rules, card text, story, and graphic design into one unit. That is a complex process, and we don’t know quite how long it will take. Everything we’ve gotten in has been gorgeous, and we want the final product to be equally gorgeous. So expect updates in the new year to see how that’s going. Here’s some cool new art from Luke Green and Bruce Brenneise. 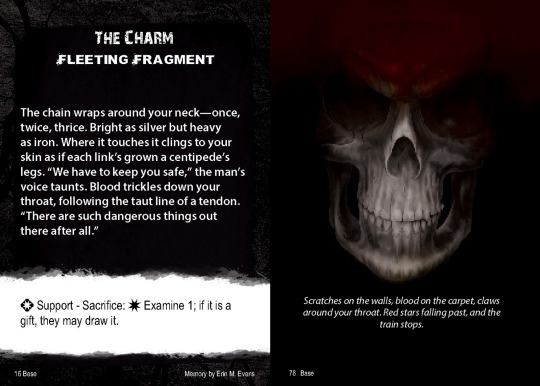 We’ve just about finished the writing, puzzle design, development, and editing on the new Theseus Guide to the Final Maze, our upcoming hint book for The Maze of Games‘s stubbornly unsolved final puzzles. I had a great time writing in the world of Sam and Colleen again, and Gaby and I enjoyed coming up with ways to clue the final answers without being too sledgehammery. Now that Tanis is finishing up with editing, Elisa can get started on the layout. She’s got some interesting ideas which will fit in nicely with the original book. And Pete’s doing a brand new cover image, which makes us quite happy. We’re confident that the result will be a little book we’re proud to put right beside The Maze of Games. Which is what we’re going to do! We originally expected to make just a PDF tied in with the Humble Puzzle Bundle, but we like the end result so much that we’ve decided to do a limited run of 1,000 printed copies. It will be a half-size book with a cover and 16 pages of interiors. Plus everyone who orders one will get a free PDF. When they’re ready, we’ll let you know and you can order one if you like. We’re probably not getting this out in December, but we feel real good about January. So here’s the deal: If you want to solve the final puzzle in The Maze of Games before anyone gets the hint book, we suggest reserving a little holiday time. Get some eggnog, put on Mel Torme, and get solving by menorahlight pronto. Because in the new year, a little book with some big hints will be coming out. Happy holidays from your favorite Sharks!